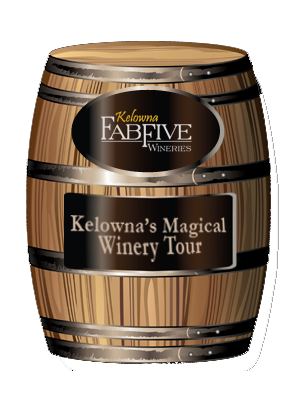 How Many Kelowna Winery Tours and Tastings Can You Do In One Day…? Two weeks ago, my wife and I visited family who live in an eastern suburb of Vancouver, in beautiful British Columbia. After a few very enjoyable days spent admiring the view and heights in Squamish BC, and the beautiful walking trails in Deep Cove, my family and I could not resist the gravitational force pulling at us from the nearby Okanagan Valley …undoubtedly the most beautiful and picturesque wine regions anywhere. So, without even feigning any resistance whatsoever, we embarked on our voyage which took us on Highway 5 (the infamous reality TV backdrop for Highway from Hell). Through the breath-taking symphony of mountains, hills and valleys of majestic British Columbia, we made the long, winding journey to Kelowna, situated in the very heart of the Okanagan Valley. Upon our arrival, we were welcomed by the festivities of their annual Fall Okanagan Wine Festival, and we prepared our senses for what we knew would be a most enjoyable cram session…an oenologically delicious study of this region’s unique native wines. I could tell by the look of steely determination in everyone’s eyes’ that we were not to be denied…we were on a mission to take full advantage of the situation at hand (in part for research purposes, of course).